Gain insights into audience movements & your app engagements. Monitor progress of each mobile campaign. Gain a comprehensive view on reached audience, plus see how your users respond to your mobile communications. 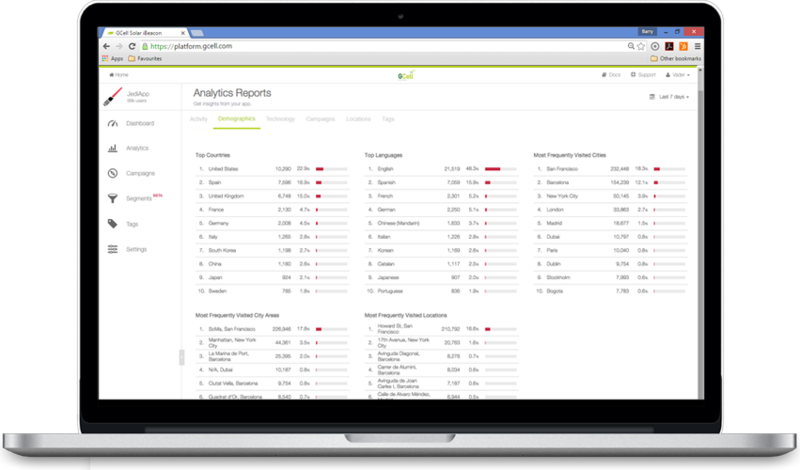 Campaign analytics helps you identify what works and where people drop off so you can increase your conversion rates. Track user enthusiasm for your app. 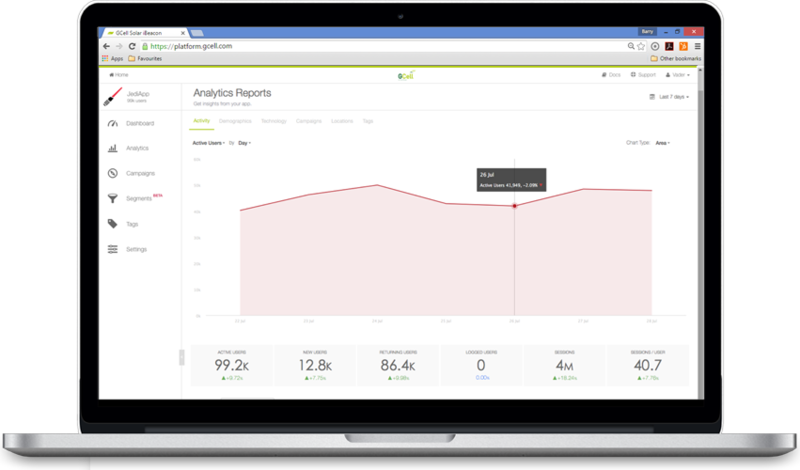 Gain app insights and analyse how your users interact with your app. Measure your app growth and in-app usage patterns. Monitor if you are hitting your business goals. Understand the value of your audience. Profile demographics of your app users. Explore countries of origin and spoken languages. Plus, understand the mobile technologies used by your app users to help plan future app updates. Locate your users across the globe in real-time. Gain insights into customer habits, behavior and walking routes. Track most frequently visited regions, cities, streets and GCell Bluetooth Beacon triggered micro-locations. 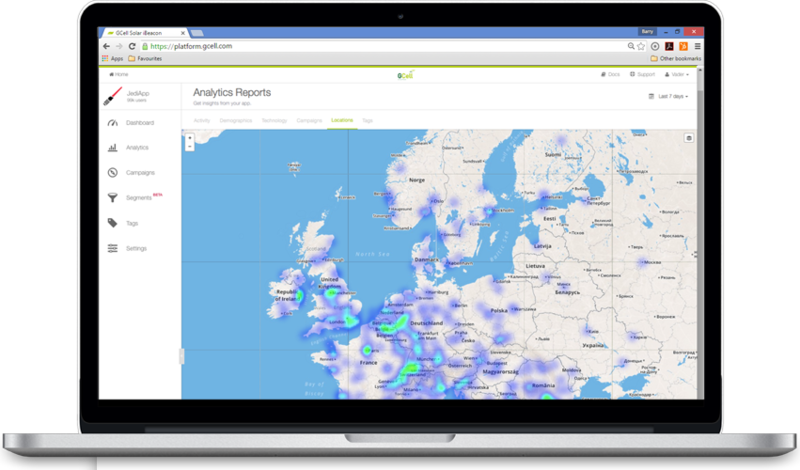 Plus, measure the impact of engagements of your app in real-time using our location maps. Locate your app users indoors. 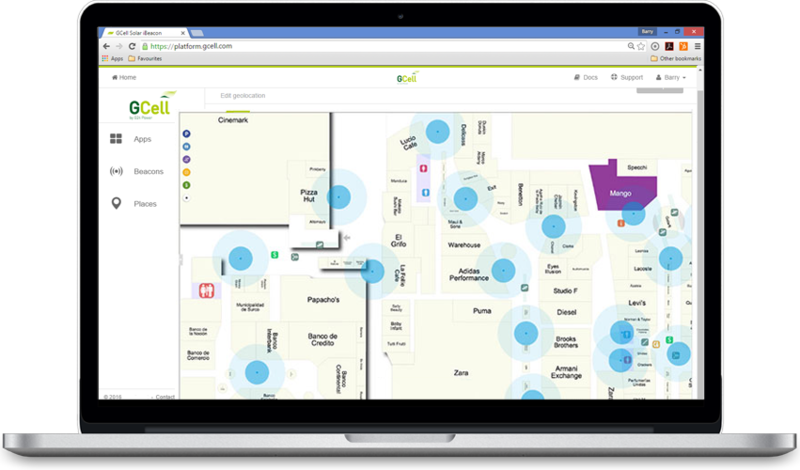 Use indoor location heatmaps with GCell Bluetooth Beacons to understand audience flow patterns, discover hot-spots and optimise your campaigns. All data is gathered only from opted-in users and it is completely anonymous and secure. Note: Indoor Heatmaps are available upon request as an additional feature in all paid plans. Contact us for more information. Locate your app users outdoors. 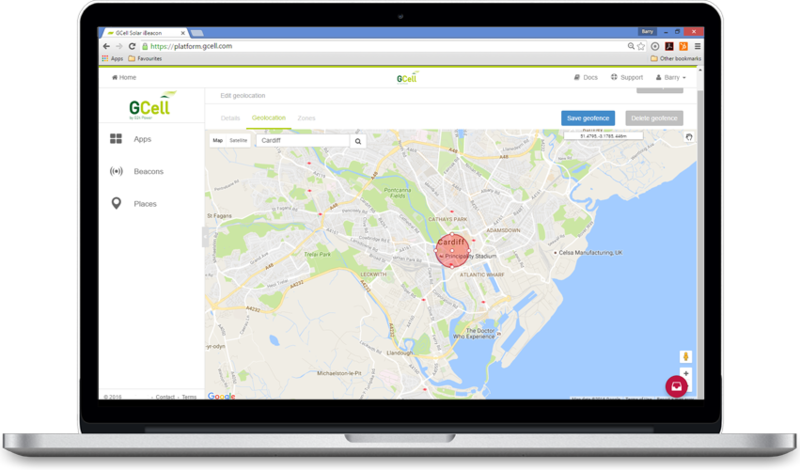 Use geo-location heatmaps with GCell Bluetooth Beacons and GPS to understand audience flow patterns, discover hot-spots and optimise your campaigns. 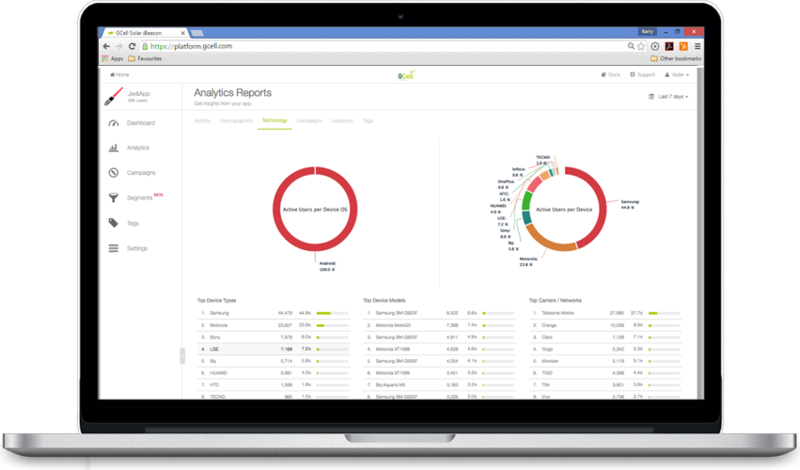 Gain insights of your app users in real time, so you are actually able to observe and react to what is happening. All data is gathered only from opted-in users and it is completely anonymous and secure.